Attended by over 90 business angels from eight countries, the first cross-border business angel program was a success. 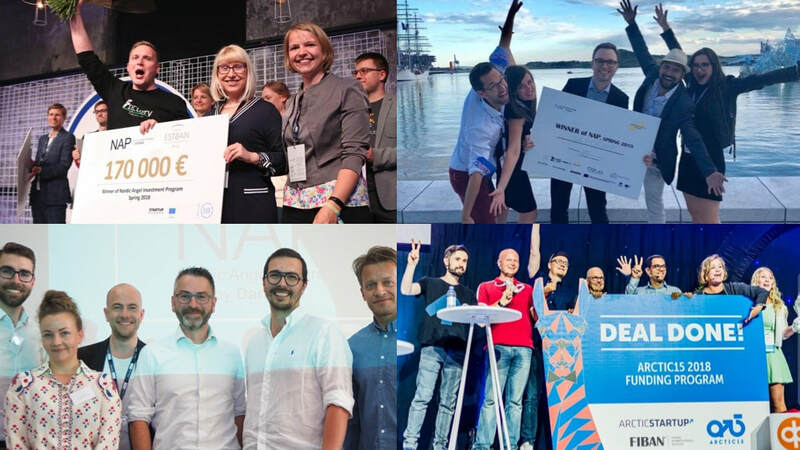 Nordic Angel Program, a training and investment program for startup investors in the Nordic and Baltic region has successfully channeled investments in four startups worth 575.000 euros. The companies are Fractory from Estonia, Meploy from Denmark, Screenful from Finland, and Clucoset from Norway. With the goal to inspire new cross-border angel investments, NAP aims to channel investments in total worth 4 million euros in 16 startups during 2018 and 2019. Parallelly run in four different countries, Estonia, Denmark, Finland and Norway, the three-month angel training was attended by 90 business angels that shared their local startup investing best practices and evaluated almost 500 startups seeking investments. Each angel group comprised of a mix of new and experienced investors, where the responsibility for closing the final investments laid with the experienced angels. The national programs were hosted by the local angel networks EstBAN (Estonia), FiBAN (Finland), DanBAN (Denmark) and BAN Norway in tight cooperation with the main startup events in the region Latitude59, Arctic15, AngelSummit Denmark and Seed Forum Global. All the national programs consisted of four trainings sessions where the latest startup investing best practices were discussed. In addition, several workshops were organised where investors together evaluated the potential investment opportunities. Each program had its own specific structure and the final contract terms and any startups with links to the Nordic and Baltic region were eligible to send in the applications. With an increased interest for business angels to expand their network of co-investors and find startups outside their own region, the program structure supporting cross-border investing was very well received by the investors from the spring batch. Many of them have credited the program to close the gap in the knowledge level of how to optimize cross-border investments as a group. The program organisers have also thanked the local startup events for their warm cooperation as this gave access to larger amount of startups and access to investors attending the event. Nordic Angel Program (NAP) is an international cross-border training and investing program for business angels. The goal of the program is to increase cross-border investing awareness among existing and potential startup investors. The program is powered by EU’s Horizon2020 and coordinated by NordicBAN and Civitta.